Click here to read the final recommendations from the "Criminal Justice in Arizona" statewide Town Hall. Highlights Piece for "Criminal Justice in Arizona"
Arizona Town Hall on criminal justice coming to White Mountains in July, Karen Warnick, White Mountain Independent, June 29, 2018. Criminal justice in Arizona town hall set for July 28, White Mountain Independent, July 6, 2018. 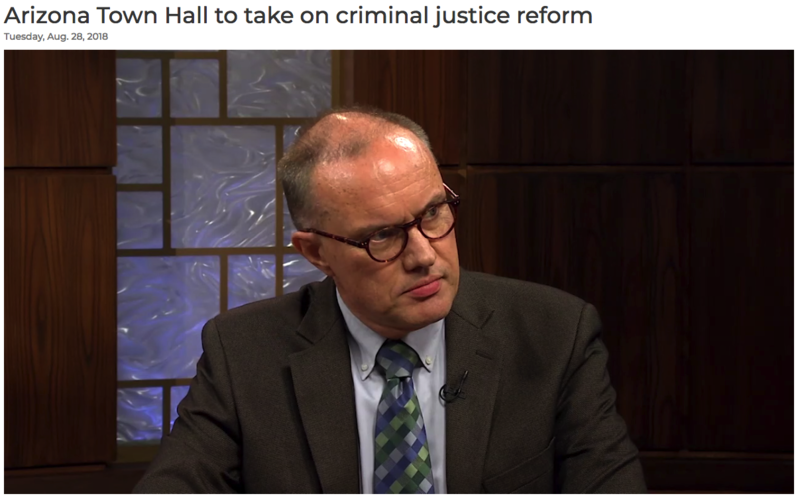 Town Hall on AZ Criminal Justice, Jason Kadah, Prescott eNews, August 16, 2018. Arizona Town Hall to take on criminal justice reform, Arizona Horizon, August 28, 2018. AZ Town Hall Explores Criminal Justice, Tim Eigo, Arizona Attorney Magazine, September 2018. Billie Orr appeared on KYCA Talk Radio Prescott-Flagstaff, September 2018. Diocesan Prison Awareness Month Features Multiple Events, Kim Crecca, The Episcopal Diocese of Arizona, September 7, 2018. Arizona Town Hall: Assessing the Criminal Justice System, Lynne LaMaster, Prescott eNews, September 11, 2018. Criminal justice town hall meetings across Arizona, Brandi Walker, KGUN9, September 13, 2018. Experts, public discuss state of Arizona’s criminal justice system, Max Efrein, The Daily Courier, September 14, 2018. Sarah Gassen: Fixing AZ prison system from the inside, Sarah Gassen, Arizona Daily Star, September 16, 2018. AZ Town Hall Topic: Arizona Criminal Justice, Lynne LaMaster, Prescott eNews, September 17, 2018. Sheriff Scott Mascher on Criminal Justice Reform, eNewsAZ, YouTube video, September 17, 2018. AZ Town Hall, Prescott - September 12, 2018, eNewsAZ, YouTube video, September 17, 2018. Arizona Inmates Lead Discussion on Criminal Justice Reform, Jimmy Jenkins, KJZZ Radio, September 21, 2018. Arizona Daybook, KVOA Tucson News, September 28, 2018. Town hall offers chance to be heard on criminal justice, Jamie Verwys, Sierra Vista Herald/Review, October 2, 2018. Youth town hall to discuss law and public safety in Yuma County, Elly Morillo, KYMA News, October 9, 2018. Residents gather to discuss state's criminal justice system, Audrey Hernandez, West Valley View, October 11, 2018. State prisons host town halls on drugs and crime, Morgan Loew, CBS5, October 18, 2018.
Business for Breakfast 10/19/18, Tara Jackson, Business For Breakfast, Money Talk Radio, October 19. 2018. 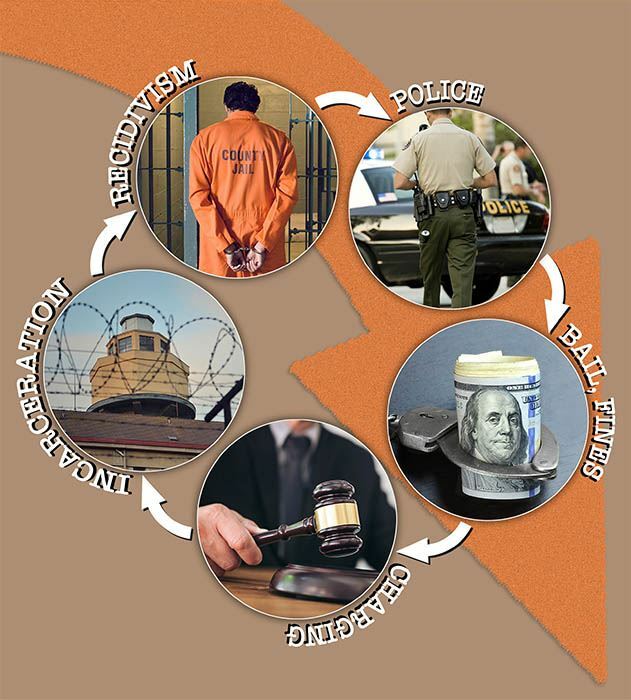 Examining Arizona's Criminal Justice System, Ray Newton, Quad Cities Business News, November 2018. 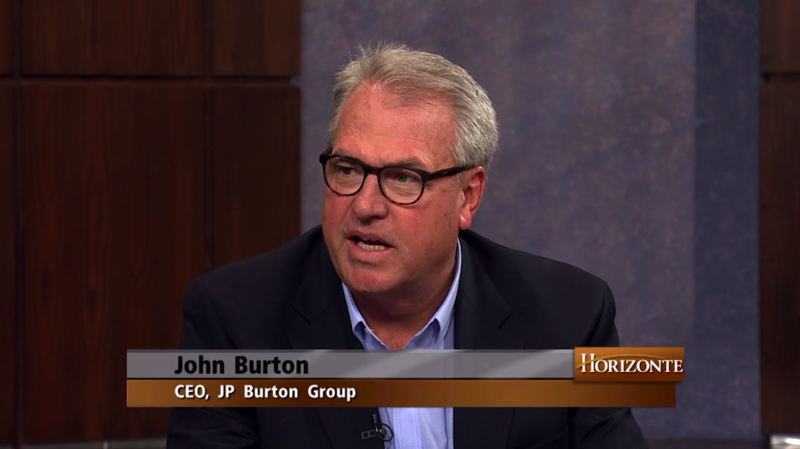 11-15-18 Criminal Justice Reform Bill, John Burton and Gilbert Mendez, Horizonte, November 15, 2018. Amid rising prison population, work underway to reform Arizona's criminal justice system, Caitlin Schmidt, Arizona Daily Star, November 20, 2018. Investment in safety and justice, Gilberto Mendez, Casa Grande Dispatch, December 11, 2018. Arizonans want criminal justice reform, Caroline Isaacs, Arizona Daily Star, December 12, 2018. Maricopa County needs a 21st century prosecutor. It doesn’t have one, Mikel Steinfeld, Arizona Republic, December 22, 2018. Letter: Let’s come together more often, Frank Bergen, Arizona Daily Star, December 27, 2018. Another report condemns Arizona's swelling prison population and the laws that enable it, Perry Vandell, Arizona Republic, September 18, 2018. Study Details Costs of High Arizona Imprisonment Rate, Jimmy Jenkins and Steven Goldstein, KJZZ, September 18, 2018. Click here to view a PDF version of Felicity Rose's PowerPoint presentation. Future Leaders Town Hall – A mini-Town Hall session that convenes prior to the statewide Town Hall for high school and college student participants. The recommendation reports from these sessions are compiled, summarized and carried forward for participants of the statewide Town Hall to consider. Visit the "Criminal Justice in Arizona" Future Leaders Town Halls media page for recommendation reports, pictures and video! 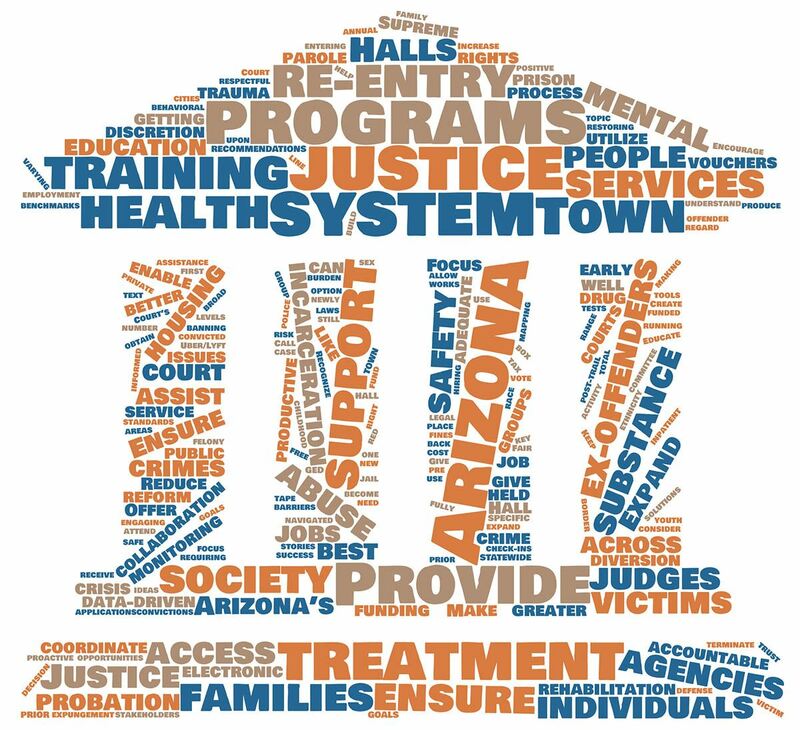 Visit the "Criminal Justice in Arizona" Community Town Halls media page for recommendation reports, pictures and media coverage!